To add a new variation of menu in our table, we incorporated a Mexican dish and made some taco. This is my first time making it and I am glad that it turned out good. The preparation is very easy and quick. It only took me 15 minutes to prepare the whole thing. 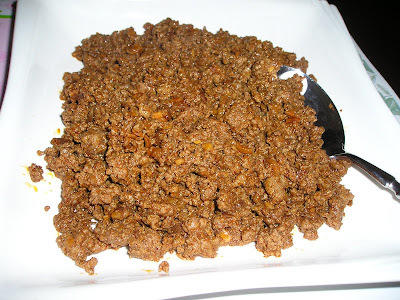 Here is the ground beef cooked with taco mix and a little bit of water. 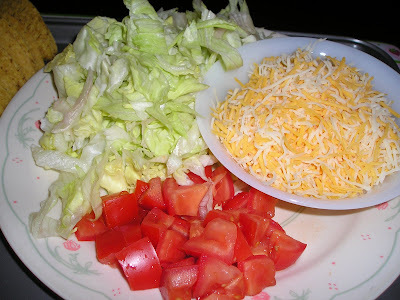 Here's the veggies - tomatoes and lettuce with the cheese. 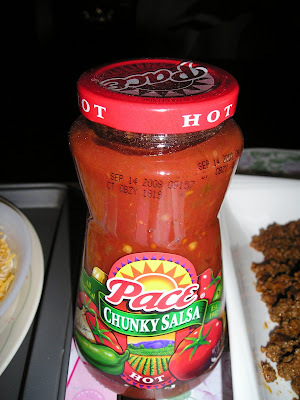 Here's the spicy and chunky salsa. Boy, it was hot...! 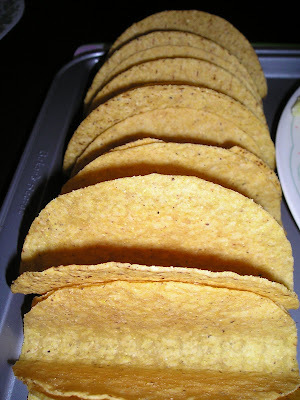 Here's the taco shells after baking it for 5 minutes in the oven. Baking the shell makes it more crispy... Want some?